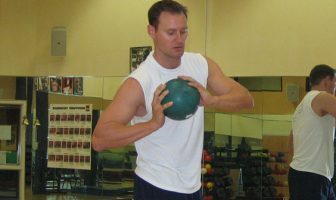 You are at:Home»Questions & Answers»What is a Good Bulking Diet Plan for Building Muscle Mass? I’m a skinny guy who really wants to bulk up, gain weight and pack on a lot of muscle but I’m totally lost when it comes to a diet and which foods I need to eat in order to get big. Can you help me with a specific type of diet along with the best foods I should be eating to gain muscle? Here’s what I usually eat on a typical day. How does this look? Morning: Porridge with chopped banana and a sprinkling of sugar. Mid-morning: Plum, Apple and a nectarine. Mid-afternoon: Ryvita (wholegrain rye crisp bread) with left over chili con carne. Dinner: Cheese and tomato pasta bake with broccoli, cucumber and green beans. Late evening snack: A handful of pistachio nuts. 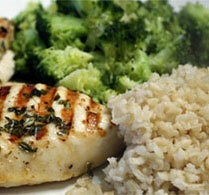 Your diet and your workout routine will be the most important elements when priming your body to gain muscle. You need to weight train at a very high intensity level with core mass building exercises to stimulate growth and then eat a lot of high quality, nutrient dense foods to provide the fuel to rebuild your muscles. Forget about doing concentration curls and tricep kickbacks because these are not true muscle building movements. You need to focus on multi-joint exercises like deadlifts, squats and bench press to really overload your body and breakdown muscle fibers. When you incorporate these types of mass exercises, you work your entire body which creates an anabolic effect and increases hormones like testosterone and HGH (human growth hormone). 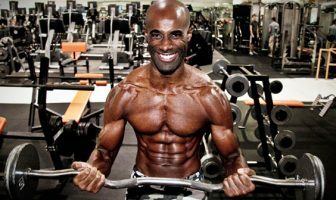 I took a look at your current diet and if your goal is to gain maximum muscle mass and get big then you definitely need to increase your protein intake. You should try to always include a protein source at each meal you eat during the day. Include things like chicken breast, egg whites, tuna and lean red meat along with clean carbs like yams, oatmeal and brown rice. A very clean muscle building meal would be 6-8 ounces of grilled chicken breast with 1 cup of brown rice and 2 cups of steamed broccoli. Pre-cooking your meals is an excellent way to prepare a lot of muscle building meals which you will have quick access to without dealing with cooking a meal all the time. Once a week, just cook a bunch of food and then put your meals into individual bowls of Tupperware and put them in the fridge. This way you will have instant access to quality meals throughout the day to fuel your muscles. If making a lot of meals during the day is difficult for you, then a quick and affordable way to get your protein intake in is to purchase a quality protein powder and mix up a shake that you can take with you to work or to school. Whey is a fast acting source of protein and is ideal before and after your workouts to get protein to your muscles quickly. A very good muscle building post-workout shake would be 2 scoops of whey protein (40-50 grams), 1 cup of oatmeal and 1 cup of bananas or blueberries. Mix everything up in a blender and put it into a shaker bottle for quick access after your workout.